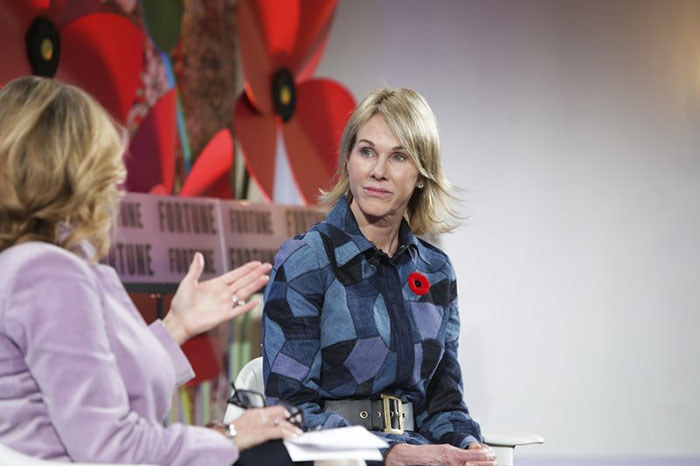 Kelly Craft, the U.S. ambassador to Canada, acknowledges that the relationship between the two countries is strained—but she insists the North American neighbors are committed to cross-border trade. Craft will embark on a “listening tour” with David MacNaughton, the Canadian ambassador to the U.S., starting in December, to address investor concerns in the wake of the ‘new NAFTA’ agreement, officially called United States–Mexico–Canada Agreement or USMCA. The diplomats’ joint appearances will seek to reinforce the nations’ commitment to the new USMCA deal—and to each other, Craft said during Fortune’s Most Powerful Women International Summit in Montreal on Tuesday. “Really what’s important is allowing the medium- and small-sized businesses to know that we’re all about cross-border trade.” she said. Craft, the first female U.S. ambassador to Canada, also provided insight into the months-long negotiations that resulted in the USMCA agreement, telling the MPW audience that President Donald Trump repeatedly reminded her to keep workers in mind as the talks dragged on.